Would you like to learn techniques to help you choreograph dances, from start to finish? 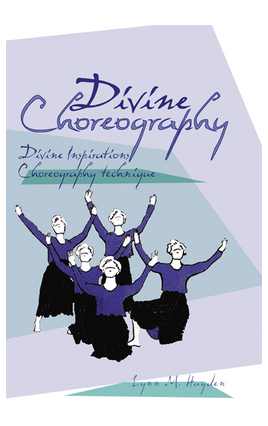 Incorporating some college level material, that Lynn learned as a dance major, and combining that with many practical tips, that come from years of dancing in the church, this work proves to be the hand book of the decade. You’ll want to study it, try some of the techniques, and practice with the exercises. If you want to learn about creating dances and what makes them captivating, then this book is definitely for you! The key, to divine inspirations within our choreography, is our personal relationship with our Lord, from whom all blessings (and inspiration) flow. It is in the beginning, the onset of creativity and symbiotic relationship from where we get our start; and here that our communication form (creative choreography) can express the Holy Spirit’s design for this day and hour.